Road salts commonly used in the winter to melt ice and keep roads clear are not being effectively absorbed by mitigation measures, allowing the salt to reach groundwater and wells, according to Joel Snodgrass, professor and head of the Department of Fish and Wildlife Conservation at Virginia Tech (Blacksburg, Va.). “Current stormwater management practices don’t completely stop chemicals from reaching streams and we have seen chemical contamination year-round,” Snodgrass said. The study examined two stormwater ponds in Baltimore County, Md., for contamination and transportation of road salts. Don’t forget about what is added to the road salt. 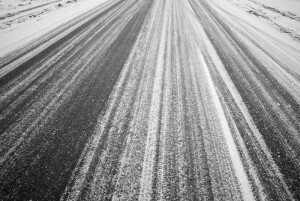 Road salting is a unique practice to each town and some towns use anti-caking agents such as sodium ferrocyanide and potassium ferrocyanide which can add to the the problem of road salt getting into waterbodies. Since the 2001 release of the Environment Canada Priority Substances Assessment Report for Road Salts, there has been no mystery about the water quality impacts and threat to the web of life posed by our ever expanding use of chloride (calcium, sodium, magnesium and potassium) road salts, and the ferrocyanide salts associated with them. What we as water quality protectors have experienced since 2001 is a wholesale barrage of misinformation and white washing by the public road authorities and salt industry that chloride de-icing and dust suppression salt is “natural in the environment” and “we have everything under control” in road maintenance and that chloride salts are essential for “public safety”. So let’s review the chemistry, chloride salts are a “natural” substance and not a manufactured chemical. But so is uranium. Unlike uranium however, chloride road salts don’t decay, they can only be diluted. Like uranium, once in water, chloride salt is there to stay. Next, a fair estimate is that 50% of all salt laid down runs off into surface water and 50% ends up migrating through the soil layers to groundwater where it then migrates into surface water. Another way of looking at it is as if the road authorities are pouring the ocean onto the land. Finally, the groundwater salt contamination we are experiencing in the present was probably laid down at least a decade or more ago. There is far more to come. While cleaning up the worst housekeeping habits (storing uncovered salt piles, using manual spreading, and over-application) by switching to salt domes, liquid chlorides, road weather information systems and computerized spreaders, unfortunately we’ve experienced a greater use of road salts instead of a reduction, and an inexorable increase in chloride contamination. Thank you climate change with your more frequent freeze-thaw cycles. all salt bad, no salt good. Anyone who tells you otherwise is lying to you. Period. Oh yes, right now there are NO cost-effective stormwater BMPs that remove chloride salt from water; other than running water through a RO or another form of evaporation, once salt is in water, it’s there to stay. We protect drinking water and ecosystem security by seriously reducing or out-rightly eliminating the use of chloride road salts. Yup, that sounds extreme but it’s simple chemistry. Perhaps what we need is better politics to control chloride salts since clearly the chemistry isn’t going to change.